The Bethel Robotics team, known as the Moosekateers, traveled nearly three thousand miles and enjoyed competing in the National Robotics Championship in San Diego, California. 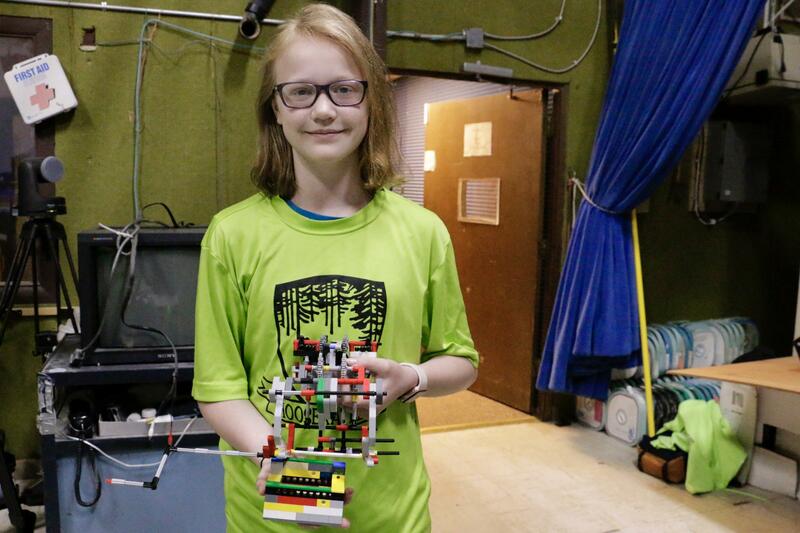 Pictured here is team member Jordan Wheeler holding a component of the robot she built. 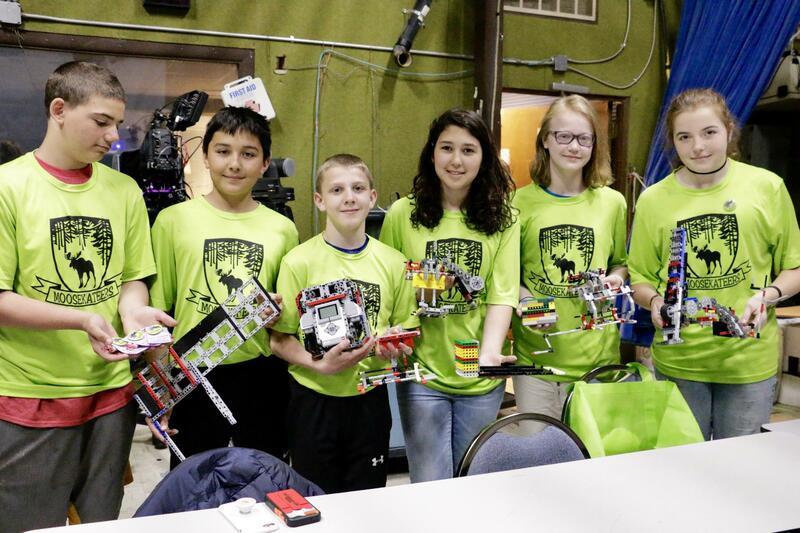 Bethel’s Robotics team placed second at the state championships this year, which sent them to the national competition in sunny southern California. 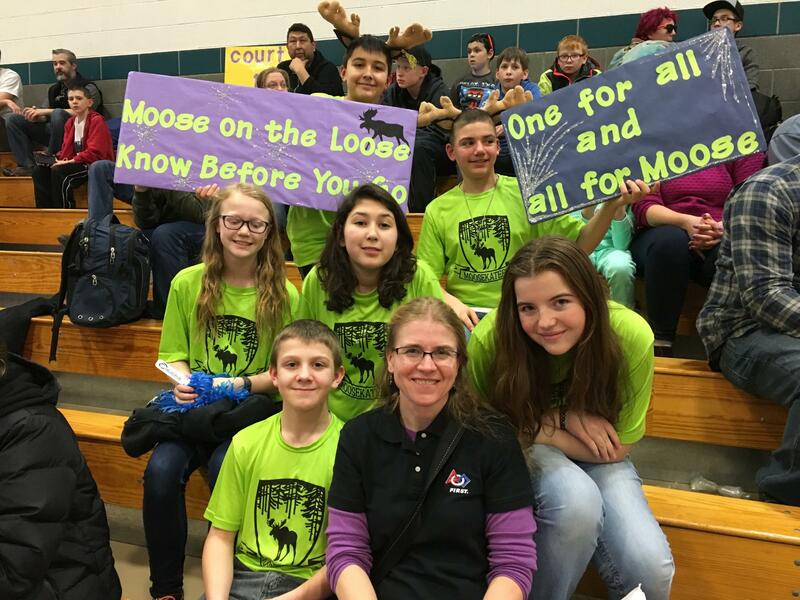 The team, known as the Moosekateers, traveled nearly 3,000 miles and enjoyed competing in the National Robotics Championship in San Diego, California. It’s the first time the team has gone to the national tournament, and the competition was steep. The Moosekateers were up against over seventy teams from across the nation. “They have been to the Alaska state competition for three years in a row now, and their goal is always to get better and get to that next level of competition. And they finally did that this year,” Nicole Smith, coach of the Moosekateers, said. Smith said that the team placed second at state, which got them to nationals. Earning first place at state sends winners to the world championships. The Mooseketeers hold the parts of the project and robots they built for a picture taken at KYUK on May 25, 2017. The Mooskateers had their robot set up on a plywood board with a track attached to the top. The robot was programmed to move around on the track in order to face different challenges. “It has many pieces on it that the robot will go up to and interact with, whether they’re pushing the lever, or having to pick something up because it’s got a hoop on it,” Smith said. But a typical robotics season project has many parts to it, the robot just being one. They begin the process in August, focusing on a theme. “We wanted to solve the problem of people not knowing what to do if people see a moose, and a lot of moose are around and in the Anchorage parks,” team member Jordan Wheeler said. 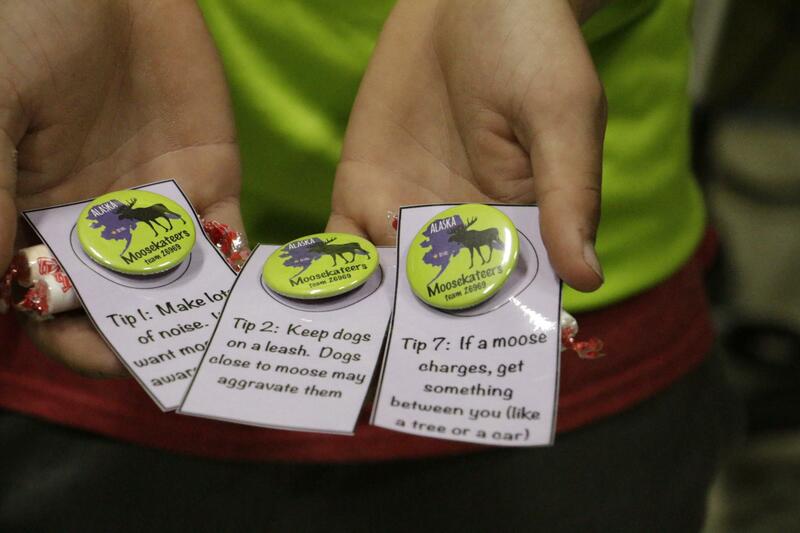 Mooseketeer pins with helpful moose safety tips and candy attached to the back. Wheeler said that their team name is a play on words of The Three Musketeers, with their motto being “All for one, and one for Moose”. Then they had to create a solution for that problem and find a way to share it. The team even adapted “Down By the Bay,” a children’s song, as their theme song. Wheeler said they also handed out facts printed on cards. One read, “Tip 1: Make lots of noise. We want moose to be aware of humans.” If you flip the card over, you get a treat. After sharing the project, they focused on the robot. They created the body, all the attachments, and programmed the robot’s missions. Wheeler said she’s already excited to work on next year’s project. Coach Smith said that they hope to use air canister attachments that allow pieces to move separately from the robot to complete challenges, like mini-drones for the robot. “That’s one of the our things we want to do next year is incorporate the air canisters and that technology,” Smith said. Smith said they’re pretty expensive, but the team plans to fund-raise in order to get them.